Delicious Duds: can i monogram that? The monogram is nothing new - this classic, preppy detail has been a staple on L.L. Bean totes and backpacks for decades. But lately, there's a huge resurgence in everything initialed - from home accents to baubles, it seems like nowadays you can personalize, well, pretty much anything. 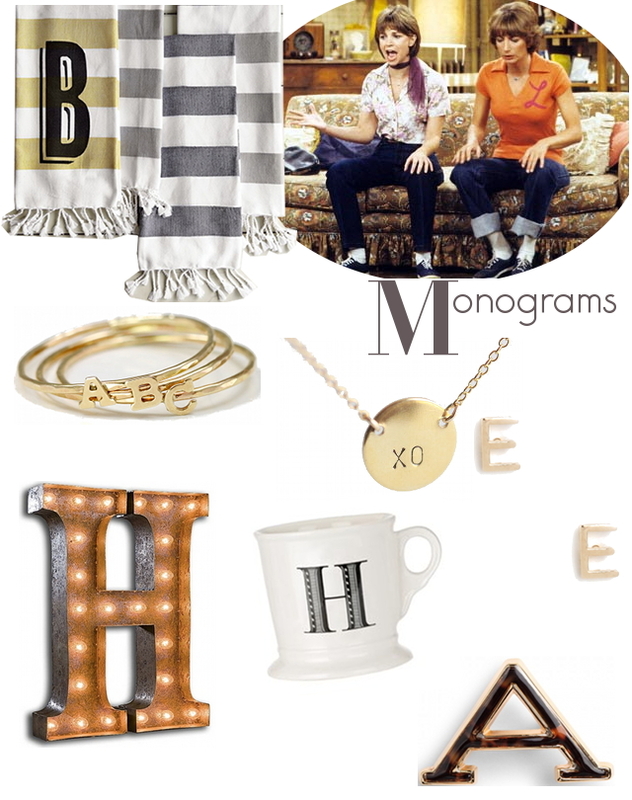 Are you a monogram fan? Raise your hand if you had one of those backpacks in elementary school!